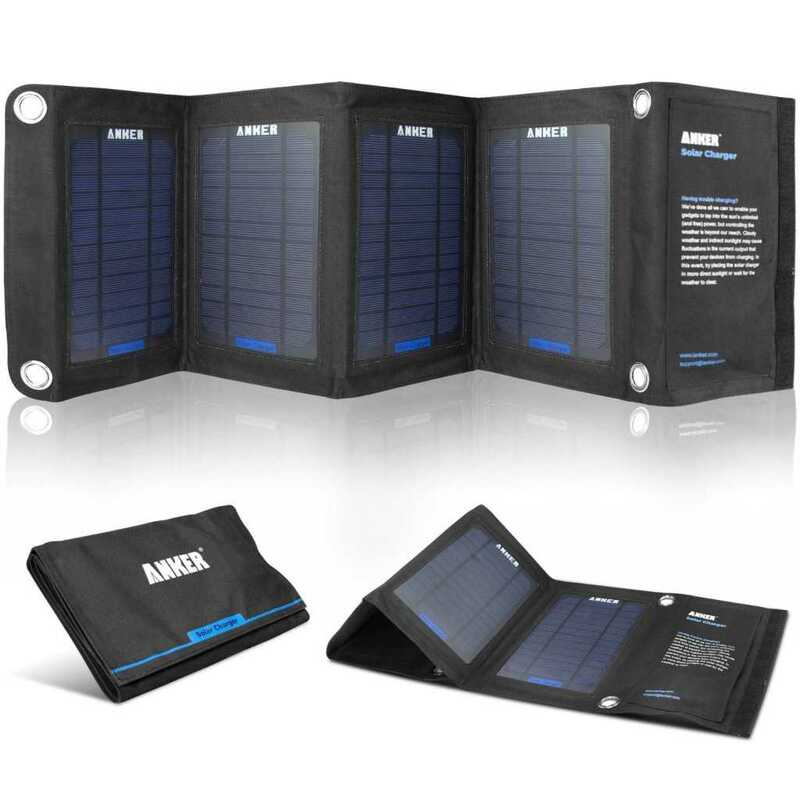 Weighing just 800 grams and packing 14 W of maximum output the Anker 14W portable foldable solar charger looks like a bargain at $59.99 / €49.99. 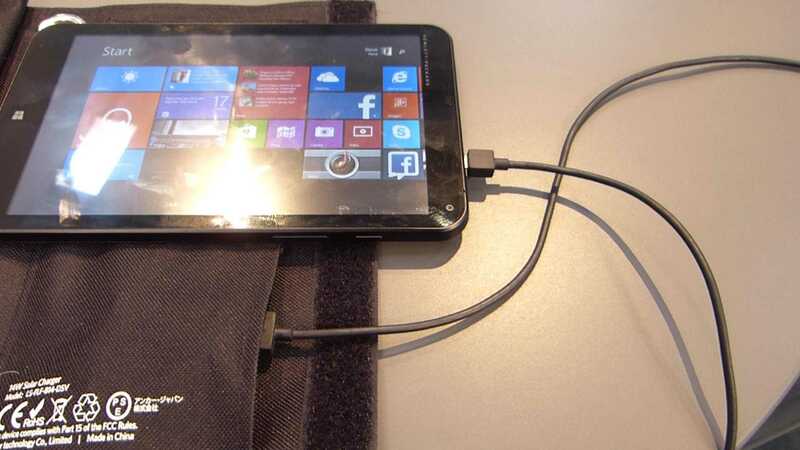 I stumbled across this at CeBIT 2015 in Hannover and took a look over it. 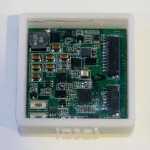 It’s well-built, has a regulated 5V output via USB and a lot of good reviews on Amazon.com. I’m almost suspicious of the 4.5 rating from 700 reviews though because I see some issues, and it’s not because there’s a partial solar eclipse over my head as I write this! 14 W of potential output is never 14 W of real output. 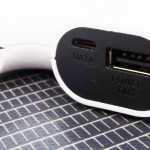 On average, in mid-Europe, you get about 4 hours of ‘charging sun’ on a sunny day although there are solutions that can pull a little more out of the curve and given that this solution only needs 5V output it’s likely that it will work over a longer period, especially if you’re only trickle-charging a smartphone. The rated output (despite the 14W of panels) is 5V at 2A which is 10W and that’s at full, clean sky, sun levels. In practice that’s rare so the chances of reaching the 2.0A output needed to trigger fast charging on many devices are low. Slow charging on many devices pulls less than half of that so you’ll lose more of the potential of this panel set. 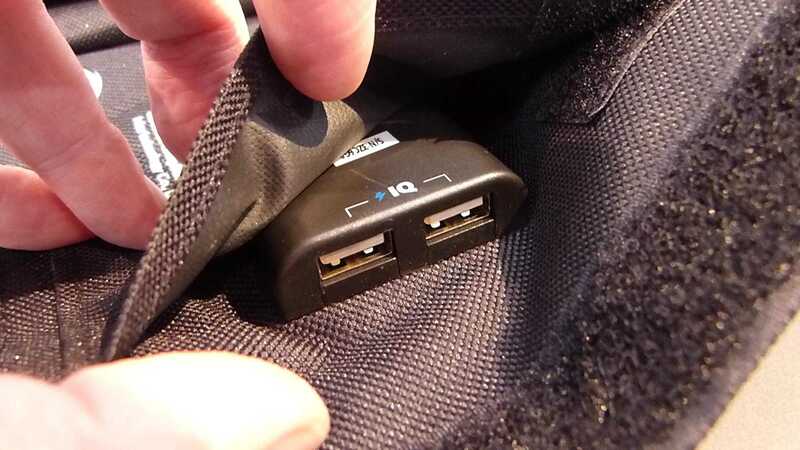 I’m also not a fan of having to leave a smartphone unattended so this solution is likely to work best with an intelligent USB-chargeable power pack that you can then use to charge other items. The problem is that the charge/discharge control electronics will cost you anything from 20-40% of the power coming from the panels. There’s potential here, but although I’m amazed at the price, I’m not convinced this is a great product. I can’t give any final opinion or recommendation on this product because I haven’t tested it. It has some potential and could certainly outperform some of the terrible consumer ‘solar charger’ solutions out there but don’t expect it to be all-powerful, all the time, with all products. Steve, that painfully brilliant yellow sphere over you is called the Sun, or Sol in latin and in Spanish. For people living in central and northern Europe is a scarce vision, but for us Mediterraneans is our damn permanent companion during 5 months a year. Seriously speaking, I think that this model is more appropiate for our scorching summer sun. Possibly I’m going to test it. Thanks for the info!